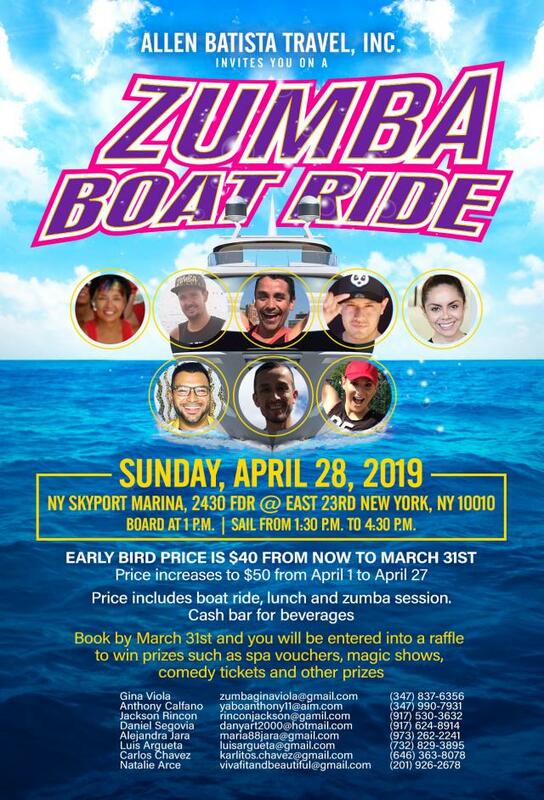 Come set sail for a NY Fitness Session featuring Zumba workout during a three hour sail up the East River. Zumba is a high energy intensive workout to Latin, African, Brazilian and hip hop. You do not need to have any dance experience to enjoy the zumba workout, you just need to come ready to move, sweat and dance, enjoy the music and the party. Plan to spend an hour working out every part of your body, while learning new cool moves laid out in a clear, easy to follow format. You will have so much fun that you will not realize your are actually toning, shaping and increasing your stamina. It is a workout that's good for your mind, body and soul. There is an option for admission with food and admission without food.